The President’s “American Jobs Creation Act of 2004” signed into law in October provided incentives for investment in racehorses. Deduction Based on Sale Profits: Beginning in 2005, breeders will benefit from a new deduction being phased-in completely by 2010. Along with current deductions already in place, breeders can now take deductions based on profits from sales of foals they produced. The deduction will be 3 percent of profits in 2005 and 2006, increasing to 6 percent for 2007, 2008 and 2009 and reach full implementation of 9 percent in 2010 and thereafter. The deduction cannot exceed 50 percent of wages paid to employees or the taxpayer’s total taxable income. At its 9 percent fully implemented rate, the deduction will equate to a tax rate reduction of over 3 percent. $100,000 Expensing Allowance Extended Until 2007: The $100,000 expensing allowance has been extended and now applies to purchases made January 1, 2003 through December 31, 2007. A purchaser can continue to write off up to $100,000 of the cost of horses, provided total purchases of all depreciable property during the year do not exceed $400,000. Deductions for State and Local Taxes: The Foreign Sales Corporation bill, also signed into law in October, contained legislation that will allow citizens of states without income tax to deduct their state sales tax from federal income taxes. This provision will lessen the tax burden on residents of Florida, Nevada, South Dakota, Tennessee, Texas, Washington and Wyoming. 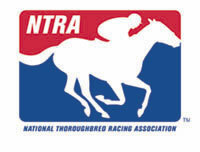 NTRA is currently formulating new legislation for accelerated depreciation of racehorses and seeking an appropriate legislative vehicle for this initiative.